Where Does Consumer Loyalty Stand? The retail experience continues to change for customers. Consumer loyalty continues to change for many retail stores. A recent study conducted by Acquity Group, The “2015 Next Generation of Commerce Study,” found that 40 percent of consumers would change their shopping preferences in terms of day-to-day purchases if they believe the other retailer has better data security and more convenient payment options. More than 2,000 U.S. consumers were polled on their digital engagement, content, shopping and service preferences and habits during the study. Of those polled, 21 percent said they would be willing to switch to another retailer if it had stronger security features, such as finger sensors for mobile payments or more versatility for payments in general. 18 percent said they would switch based on social network discounts or coupon offers. 9 percent said offering more forms of payment such as Google Wallet or on-the-go forms would be the biggest indicator, as compared to just 3 percent who would rather bitcoin payments. “Innovations across the media, social and fulfillment landscapes have allowed consumers of all ages to step into a new generation of commerce — one that prioritizes convenience, where time and quality of experience are highly valued and the shopping experience extends far beyond the traditional path to purchase,” an announcement said regarding the study. In terms of this study, what changes can your store make today to enhance customer happiness and loyalty? 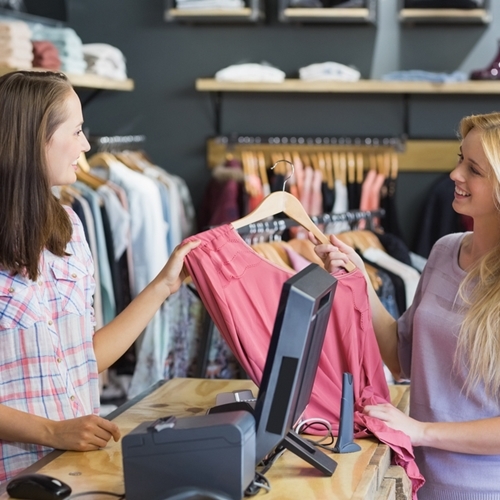 One major change would be the point of sale system operated in the store. The POS system operated by Visual Retail Plus has a range of payment capabilities, inventory tracking and purchase report options. As customers continue to strive for faster checkout experiences, more payment options and better store experiences, how will your business match up? Visit our website to learn more today.